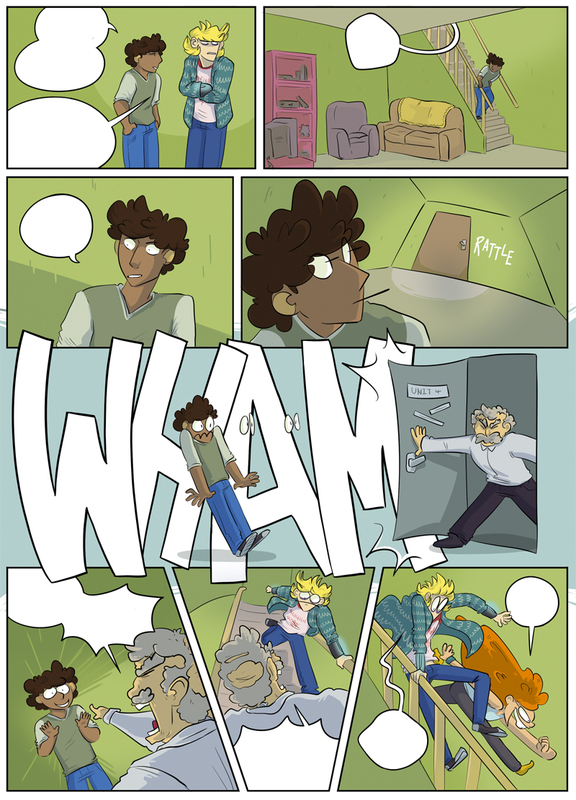 Inhibit is my longform webcomic about teenagers with superpowers. It started in January 2015 and updates every Wednesday. I write, draw, colour, and letter the comic entirely by myself. Inhibit can be read for free at inhibitcomic.com. A campaign to make a print edition of the first five chapters successfully funded on Kickstarter in February 2019. You can follow my Twitter or Inhibit’s Tumblr blog for news, update notifications, and extra art.